Very versatile to use on a variety of cakes. You can make this out of milk, dark or white chocolate. Prepare the acetate by cutting out 8 strips 10.5cm long, 2cm wide. Cut the corners off to create pointed ends. Grate the chocolate into a plastic microwave safe container. Melt the chocolate in the microwave in bursts of 10 seconds stirring every time. 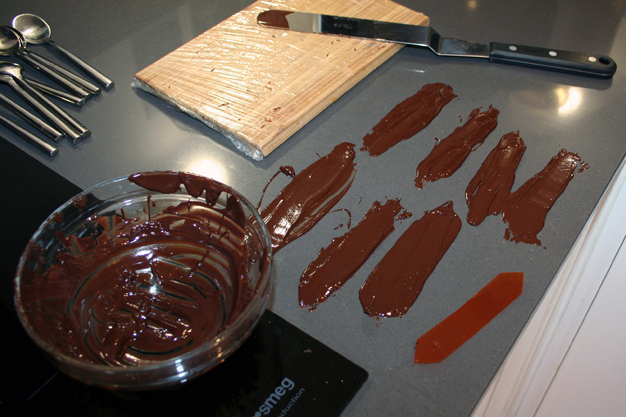 If you have a food thermometer, dark chocolate should reach no higher than 32 C, milk 30 C, white 29 C.
Spread chocolate over acetate strips using a pallet knife, it needs to be a quite thick layer. Carefully peal the strip off the surface and bend in half making sure the pointed ends line up to each other. Secure the corner point using the mini clothes pegs. 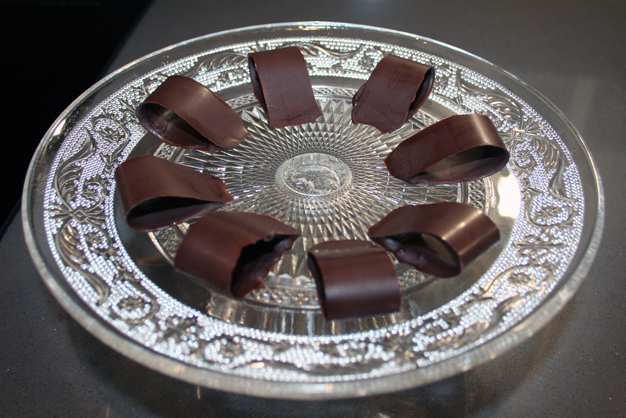 If you think your ribbon looks a little flimsy, you can add some more melted chocolate carefully using a small knife to the join between the two corners. 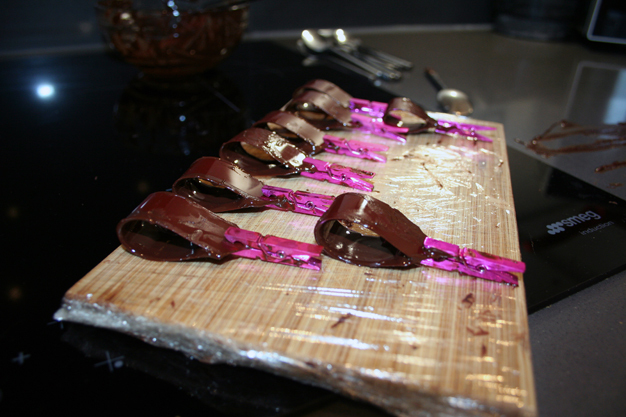 Place formed ribbons on your tray or chopping board and place in the fridge to dry fully over night. Once dried and hardened, use as decorations on a cake.